No parent social gathering is complete without someone raising the topic of their kids and digital technology, a conversation rife with anxiety-filled confessions of confusion and genuine helplessness. The conversations are also vague, because the wider discussion of how tech influences our children is only sort of starting to happen. Meantime, the various iterations of tech to which society is exposed keep rolling in (like ocean waves), and it can all feel exhausting and hard to track. Two articles about the impact of digital use by children and their parents are worth mentioning today. The first is a book review from last weekend’s NY Times Book Review. 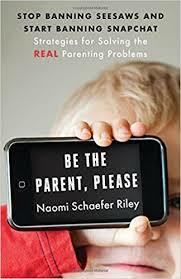 In “Are iPhones Bad for Kids?”, Pamela Druckerman reviews two books, The Art of Screen Time, by Anya Kamenetz; and Be the Parent, Please: Stop Banning Seesaws and Start Banning Snapchat, by Naomi Schaefer Riley. The juxtaposition of these two books is intentionally jarring, given that both cite an overlapping pool of research but advocate for different attitudes (Schaefer Riley is, by far, the more concerned and cautious of the two). But rather than review the review, we’ll excerpt a few items from it that pertain to our thinking at QPS, where we have perhaps (but maybe not?) different concerns than at-home life. But there are worrying correlations. Kids who watch more than two hours of TV per day have double the risk of childhood obesity. Those who watch screens before bed sleep less, making it harder to concentrate and learn. And simulated violence can desensitize children to real-life suffering, and is linked to increased anxiety and fear. Even if digital media isn’t diabolical, it has opportunity costs. The hours kids spend on devices is time they could have spent reading, studying, interacting with other humans or frolicking outdoors (there’s a bit of nature worship in Riley’s book). That’s basically Kamenetz’s message too. Her best advice might be to prioritize other activities, and allow screens only afterward. 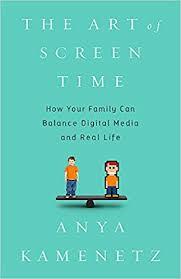 “You will be more effective as a parent, and have more fun as a family, if you drop the guilt and embrace the good that screens have to offer, while balancing media with other priorities.”. Sleep is paramount: She [Kamenetz] recommends no screens before bedtime, and none in bedrooms, ever. And she advocates communication over surveillance, making questions like “what did you see online today?” part of dinnertime conversations. Druckerman is also interviewed as part of the Book Review’s weekly podcast, for which she expounds a bit more on her responses to both of these books. The second article is about us, the grown-ups in the room: How Well Do We Understand the Tech Habits of Parents. Yes, it is a “think piece” for the Atlantic Monthly sponsored by Morgan Stanley, but nonetheless there are a few interesting nuggets to consider re: parent habits around tech. “Technoference” is an area that has only really been examined by social scientists since 2013. We recommend your reading through the whole piece, if for no other reason than to prompt self-reflection. We can all (and always) improve our personal media habits and give thought to how they might be impacting our relationships with family and friends.